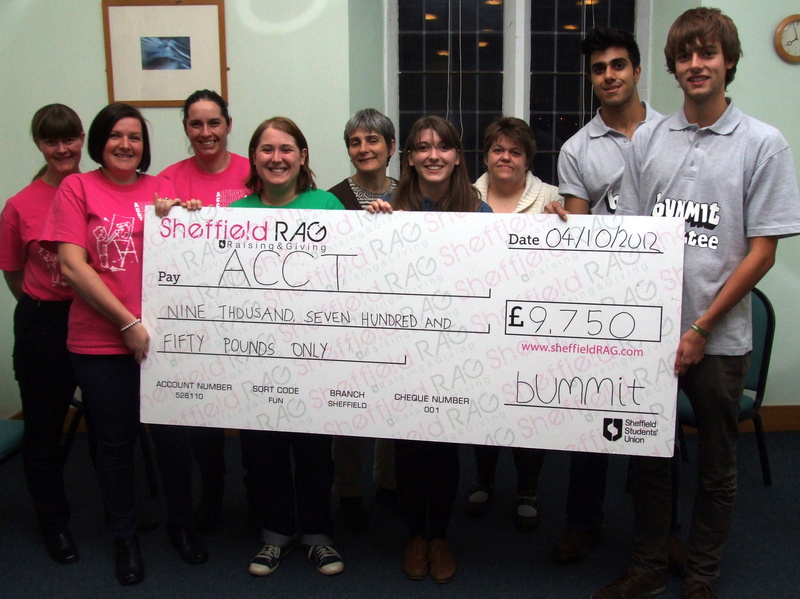 At our AGM some lovely people from the Bummit Committee (charity hitchhike) came to present ACCT with this cheque for £9750 raised through the Bummit event by students from Sheffield Raising and Giving. This donation will have a huge impact on ACCT and enable us to continue supporting families and children from across Sheffield. 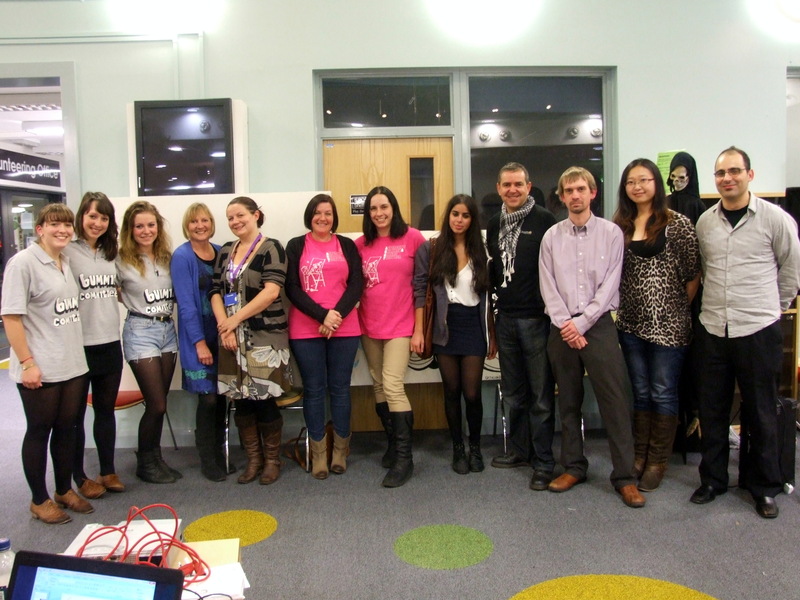 Nicola Hough and Tracy Woolhouse (fundraising committee) also attended the ‘Meet the charities’ event at Sheffield University to talk to some of the students taking part in the Bummit Hitchhike about what the donation means to ACCT and how the charity supports it’s members.